I seriously can’t believe how quickly this summer is coming to an end. It went by way to fast, but not without great food! I’ll be kicking off September in beautiful Portugal but didn’t want to leave you hanging without a crazy good appetizer to make for your long weekend plans. 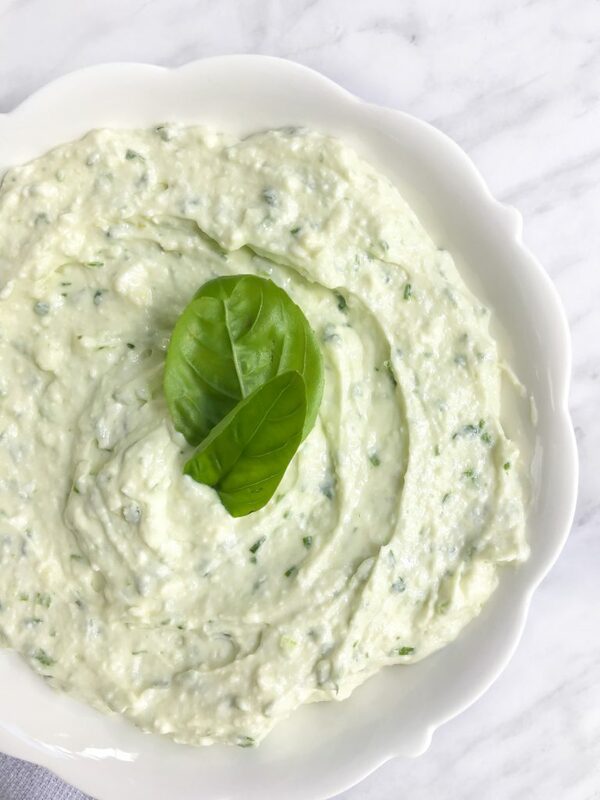 This whipped feta dip is something from heaven, let me tell you! And I have to give a shoutout to the talented Salt and Lavender for inspiration. She is one of my favorite foodies on Instagram, so I knew I had to try the recipe as soon as I saw it. And now, I am sharing it with you. I made this for a girls weekend earlier in the summer and paired it with beet chips from The Better Chip, (my new obsession) and it was a huge hit. If you are going to any parties this holiday weekend this will definitely get devoured. 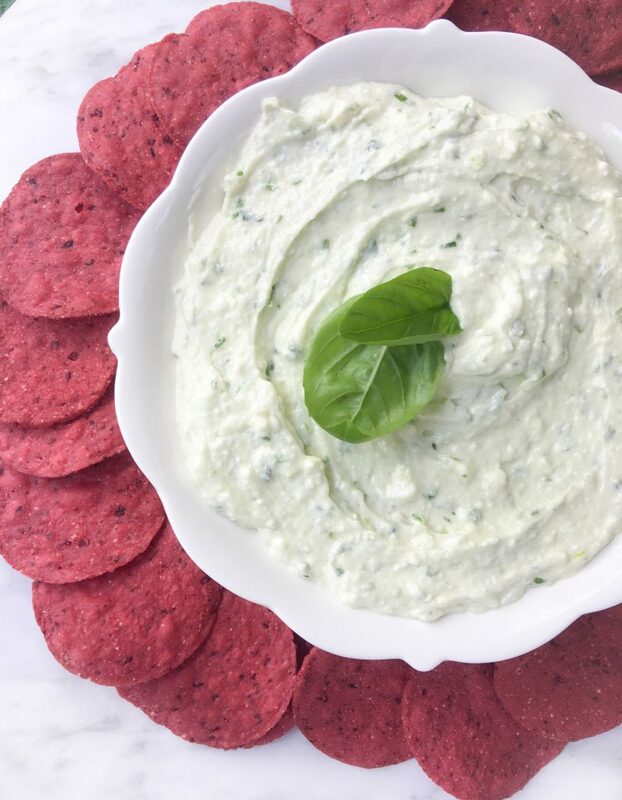 You can really use any fresh herbs in this dip, Natasha’s recipe called for oregano – I opted out because I didn’t have any. Next time I think I want to try it with mint! When you are getting all of the ingredients ready, let the cream cheese and feta cheese sit out for about 10-15 minutes to soften up. Combine both cheeses in the food processor. Pulse until blended together. Add in the rest of the ingredients and combine until it is a smooth consistency. You can add more olive oil to be more of a dip or less olive oil to make it more of a spread. Enjoy this as a dip with chips or crackers it also tastes delicious on a burger! Thanks again to Salt and Lavender for the recipe, I hope you all enjoy it as much as I did.